NCLR, which stands for National Council of La Raza, will now be UnidosUS. In photo, the organization's president and CEO Janet Murguia speaks during the group's annual conference in Phoenix, Arizona on 7/9/17. PHOENIX — The National Council of La Raza, the largest Latino advocacy organization, is changing its name to UnidosUS. The change was announced by NCLR during its annual conference in Arizona, where it traces its roots. 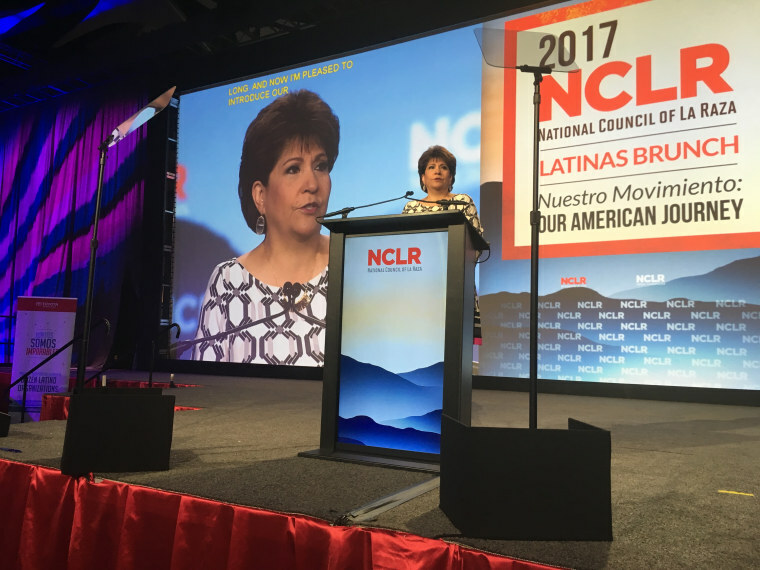 NCLR President and CEO Janet Murguía was expected to officially announce the change in a speech Monday night. "We've been working really hard on this process for some time. It was our own community that led us to the UnidosUS name," Murguía told NBC Latino. Unidos, which translates to united, is meant to show unity among Latino communities but also help NCLR transform into a group that joins all communities, according to Murguía. "I believe in unity there is strength and in strength, there is power. We see 'unidos' as call to action, but it also does signal a message to join us and come together and do what is best for our country," she said. She said the name is meant to be "dual." The Spanish word with US attached was intended to make sure "people understand we are an American institution." If people don't know Spanish, once they learn its meaning, it will be resonant, she said. The rebranding also is an effort to make the organization relevant to millennials and changes going on within the community, she said. 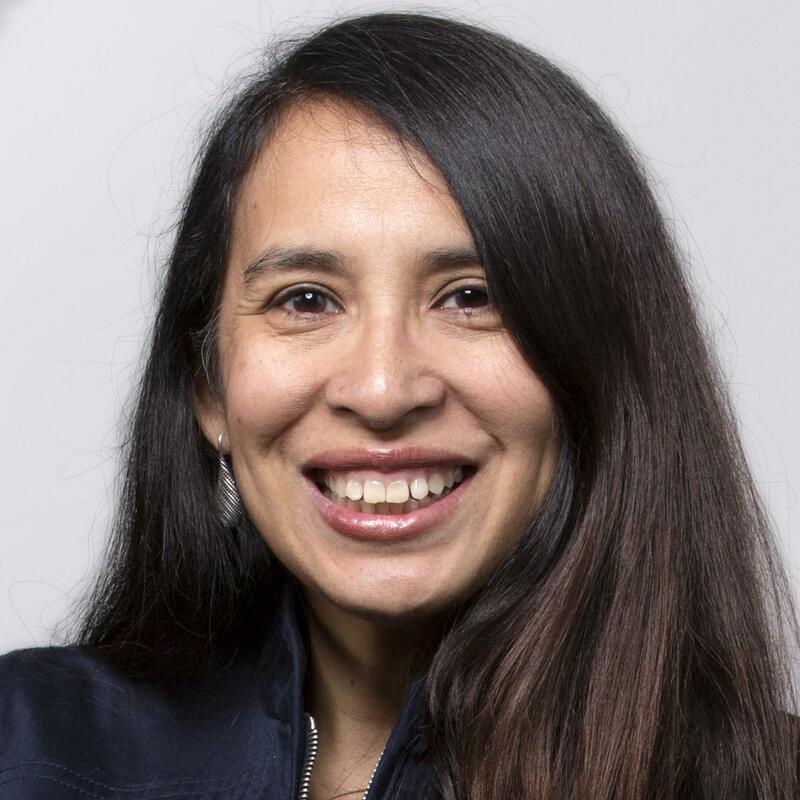 "Not only are six-in-10 Hispanics millennials or younger, we as a community marry outside of our community more than any other ethnic or racial population ... We are changing," she said. The name change comes after years of the organization defending itself against right wing groups that applied a literal translation to “la raza” as “the race” and said the advocacy group for Latinos was pushing a racist agenda. But Murguía said that didn't weigh into the name change at all. "We know defending ourselves is something we are going to do and we are happy to do. We are making sure we are resonant as an organization," she said. Murguía said the name change was backed by one of the group's original founders Herman Gallegos who has been attending the conference and by NCLR's first executive and CEO Raul Yzaguirre, who she said gave it his verbal and "visual" blessing. As far back as 2008, after NCLR’s conference was protested in San Diego, Murguia had said there were discussions about a name change. While the word can translate to the race, in the context of its origins in the 1960s, the group’s name has meant the people or the community. NCLR actually was preceded by the Southwest Council of La Raza, until it became a national organization in 1972. According to NCLR, the group began looking into a name change three years ago to make a decision in time for its 50th anniversary next year. Community focus groups, meetings with individuals and a national online survey of U.S. Latinos were done. The work showed the NCLR name was outdated and did not resonate in the community. Also the research showed it was turning some off, particularly young and more diverse people. Murguía said the name change will begin at midnight, with the name to its Washington, D.C. office happening Tuesday and other changes, such as to the web site etc. being phased in over coming months.